In the industry of food processing, strict food production regulations can potentially halt the entire production or cause serious fines and high costs for treating cooling liquid waste. A major Danish beer manufacturer became painfully aware of this when inspectors imposed fines for one of their beer bottling plants as a result of new laws requiring lower tolerance for bacteriological contamination. A thorough solution was required under time pressure and also called for numerous other performance improvements. 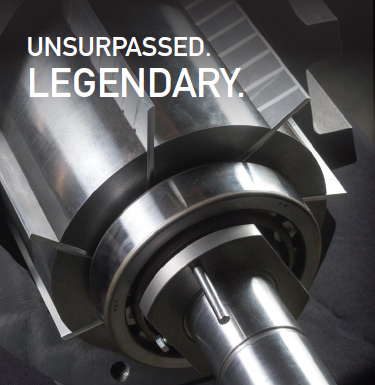 Pneumofore tackled the problem with a special design based on the advantages of its existing vacuum pump technology. Vacuum is used in the beer filling process to equalize pressure and fluid movement. 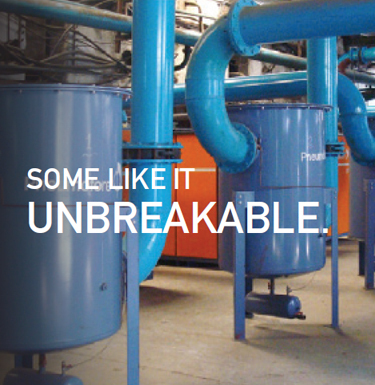 At this plant in Denmark, previously installed liquid ring vacuum pumps performed this task, but as a result of temperatures below boiling point, bioactive components were present in the cooling water system of the pumps. Environmental Safety Inspectors mandated 100% elimination of the contaminants and imposed severe restrictions on the plant’s operation. The improvement also had to reduce power consumption, noise level and offer additional advantages, such as a constant vacuum level via full integration in the process control system. In other words, the entire solution called for a dramatically reduced Life Cycle Cost. Not an easy task, it took several years of research, especially due to beer turning into foam under vacuum. 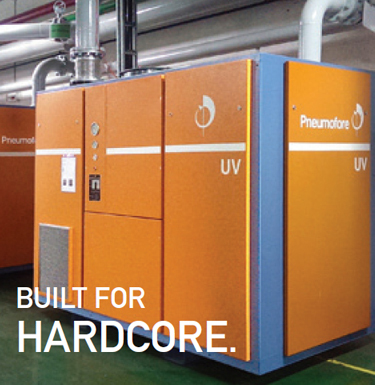 Modifying its market-leading UV Series rotary vane vacuum pump, Pneumofore designed the UVH pump. This model, produced in stainless steel specifically for this application, provides an operational temperature of at least 110°C, which ensures that all evacuated volatile bacteria passing through the pump are destroyed. 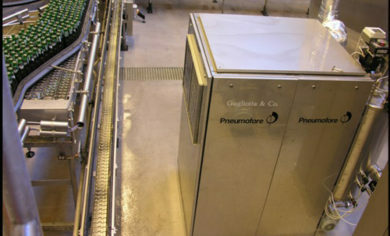 No germs are present at the exhaust of the UVH pump, and the separated bottling liquid – in this case beer, is recovered with a dedicated CIP liquid separator installed ahead of the pump. Other tests performed with rotary vane pumps failed due to insufficient coolant temperature within the pump for sterilization. Evacuated gases must pass through the pump without depositing sedimentation on vanes and other machine components. The vacuum level was optimized for highest bottling speed, tests were run down to 50 mbar(a). in the case of glass containers. Another expense of beer bottling plants is caused by the flushing of hollow glass with the CO2 gas, which is lost in the vacuum system, but can be recovered to further reduce the payback time of the innovative UV pump solution. The constant vacuum level is managed by means of a PID valve, controlled by a simple button, regardless of the ambient temperature. Contamination is now under full control at the plant. Further, based on collected data measurements, important economic savings were achieved through reductions in annual water usage of 35.000 m3 and electrical energy savings in the order of 42.000 kWh. 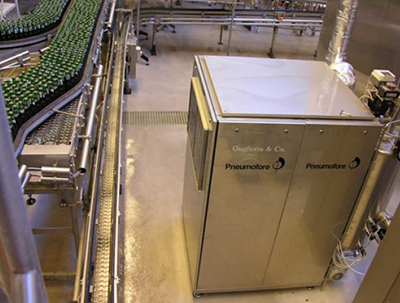 While not all vacuum bottling systems run with water ring vacuum pumps, the Pneumofore UVH solution is also attractive to users of oil sealed ring pumps, due to its rapid ROI and long-term economic benefits. Since its implementation in 2005, no extraordinary maintenance or spare parts have been ordered.